The Pentagon will offer medical examinations and long-term health monitoring to servicemembers and veterans exposed to chemical warfare agents in Iraq as part of a review of how the military handled encounters with chemical munitions during the American occupation, The New York Times reported Wednesday. 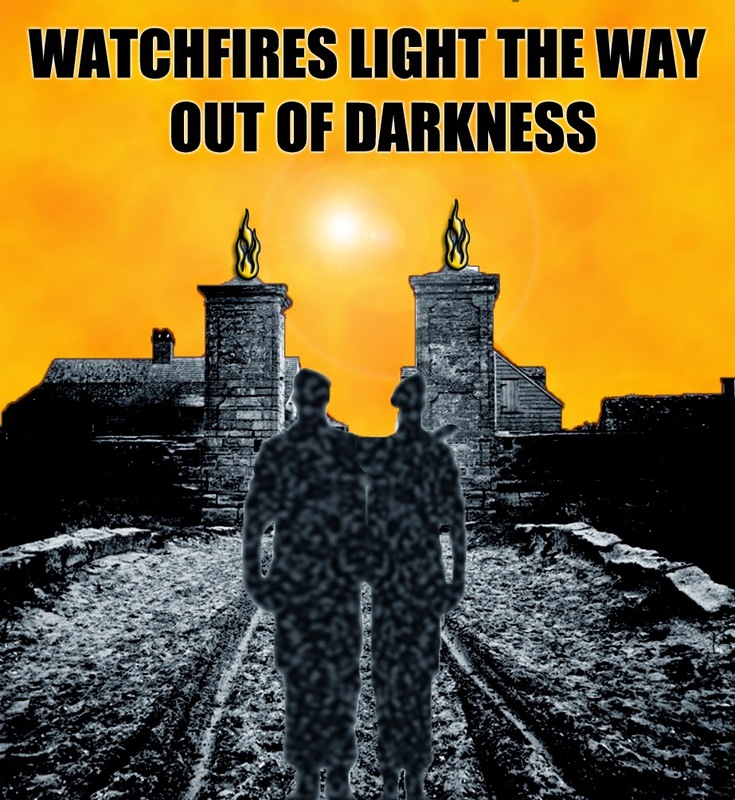 An Oct. 15 Times story found that while the United States had gone to war looking for an active weapons of mass destruction program, troops instead quietly found and suffered from the remnants of the long abandoned arsenal. Since that article, which detailed instances of exposure that the military kept secret in some cases for nearly a decade, more veterans and servicemembers have come forward, the Times reported. To date, neither the Pentagon nor any of the services have released a full list of chemical weapons recoveries and exposures. The Times found that the military did not follow its own guidelines in the initial care of many patients, and did not establish a means for tracking their health, as guidelines also required. In response, two senior Army doctors said in interviews this week that new medical examinations for troops and veterans who were exposed to chemical munitions would begin in early 2015. The Navy too has announced it will ramp up care. Fayetteville VA Hospital Closed Emergency Room Over No Doctors? FAYETTEVILLE (WTVD) -- A few dozen protesters, made up of Veterans Affairs workers and union members representing employees of the Fayetteville VA Medical Center, carried signs and chanted at the VA's entrance on Ramsey St. Thursday afternoon. They demanded the VA's emergency room reopen after administrators closed its doors in September. But VA officials said the ER was closed for good reasons. "I would hope that, much like me, their first concern would be the safety of our veteran patients," said Jeff Melvin, Fayetteville VA Medical Center Spokesperson. The VA told veterans and employees in September, the closure was due to contractors failing to provide enough qualified ER doctors to properly staff Fayetteville's Emergency Dept. A 12-hour urgent care clinic was opened in its place, but many veterans say it's not enough. Lying about receiving a military medal is protected speech, but there's no right to wear a combat decoration that hasn't been earned, a federal appeals court said Wednesday. The difference, said a divided panel of the Ninth U.S. Circuit Court of Appeals, is that lying is speech, but wearing a medal is conduct, according to a report in the San Francisco Chrnonicle. The decision in an Idaho case returned the court to a controversy that led to a 2012 Supreme Court ruling and a rewriting of the law by Congress in 2013. The defendant, Elven Swisher, served in the Marine Corps from 1954 to 1957, the Chronicle reported. In 2001, he applied for disability benefits, claiming he had been wounded in a secret mission to North Korea in 1955, after the Korean War ended. 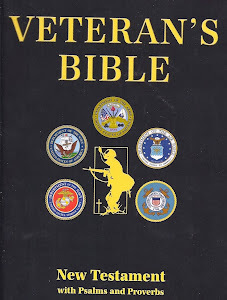 The Department of Veterans Affairs granted the request in 2004 after Swisher submitted what appeared to be a military document saying he had been awarded a Silver Star and other medals for his actions. Department of Defense Tracking Smart Phones? The DOD used DARPA for tracking social media sites. Ok, and what exactly was accomplished by all of this? What Whisper sent to a Department of Defense researcher, via Whisper. What I wanted to know was what exactly Whisper was handing over to the Pentagon. The Guardian described it thusly: “The company is cooperating with the US Department of Defense, sharing information with researchers investigating the frequency of mentions of suicide or self-harm from smartphones that Whisper knows are being used from US military bases.” I reached out to both Whisper and to the DoD to find out the exact nature of the information being handed over, and found out it was less alarming — and less useful — that it initially seemed. At first the Pentagon had no idea what I was talking about. Whisper CEO Michael Heyward had said Whisper was working with the Department of Defense’s Suicide Prevention Office but Defense Department spokesperson James Brindle said that wasn’t the case. “The Defense Suicide Prevention Office is unaware of the use of Whisper as a suicide prevention tool for the Department of Defense,” said Brindle. A former U.S. Marine who shot and wounded an Athens-Clarke County police officer three months ago is a decorated combat veteran of the Iraq war whose post traumatic stress syndrome may have played a role in the altercation, according to a motion recently filed in Clarke County Superior Court. Police said that on Aug. 31 James Michael Marcantonio shot the officer with his own holstered handgun during a struggle that began when the officer responded to a disturbance involving Marcantonio and a former girlfriend. Athens-Clarke County police said Marcantonio grabbed the officer’s weapon and “manipulated” it in the holster when he fired a shot that wounded the officer in the area of his hip and thigh. He was arrested at the scene and charged with aggravated assault and aggravated battery on a police officer. 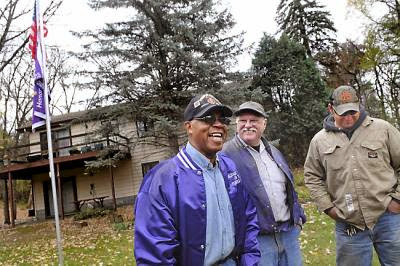 Vietnam Veteran "I know my purpose, I know my destiny"
Richard Jenkins, left, a Vietnam vet and Purple Heart recipient, talks on Wednesday, Oct. 29, 2014, with his neighbors Joe Williams, center, and Jason Lange, who put up an American flag and a Purple Heart flag in Jenkins' yard in Newport. His favorite Bible verse is Psalms 37:23-25: "The steps of a good man are ordered by the Lord and he delighteth in his way. Though he fall, he shall not be utterly cast down: for the Lord upholdeth him with his hand. 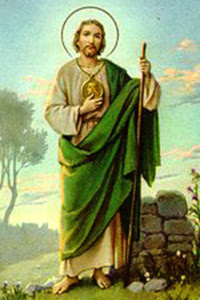 I have been young, and now am old; yet have I not seen the righteous forsaken, nor his seed begging bread." "I have never looked back," Jenkins said. "You have to have an impact. To change the lives of people, that's with the grace of God. The Rev. Richard Jenkins didn't receive a warm welcome when he returned from Vietnam. Jenkins, who received a Purple Heart for shrapnel wounds to his leg, said there were no yellow ribbons, no ticker-tape parades, no standing ovations. "I had such anger," said Jenkins, 72, an Army draftee who now lives in Newport. "I didn't volunteer for any of it." Two of his neighbors are doing their part to right that wrong. Jason Lange and Joe Williams recently bought a flagpole and installed it in Jenkins' front yard to honor his sacrifice and celebrate his service. They also gave him an American flag and a flag that honors Purple Heart recipients. "What he's done for us, for our families, is a lot more than we did here," Williams said. For 30 years, he has volunteered as a chaplain at Minnesota prisons. He is an advocate for veterans, serves on the board of Black Veterans of America and counsels those with post-traumatic stress disorder, a condition he was diagnosed with 25 years ago. 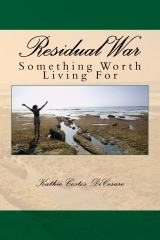 "I came back with the survivor's guilt: 'Lord, why me?' " he said. "The longer I live and the veterans that I have crossed paths with, I know that God has allowed me to come back for a purpose. I know my purpose, I know my destiny. Looking around nothing seemed like home to him after everything else he'd seen. but then the world turned upside down on his last tour. He'd been away for 9 long months in Afghanistan. Not the first time he was there but he swore he'd never go back again. as he wondered if any of it was worth the cost. when he couldn't remember the last time he wasn't filled with so much sorrow. he was stuck thinking of being better off dead. he fought to control the bike as much as he fought feeling all alone. Then he saw the bikes in front of the Laughing Horse bar, his second home. He winked with a grin he asked her "where you been?" since Josh believed that's just what a friend does. "Come with me if you want to understand"
Back from far? What's that mean? 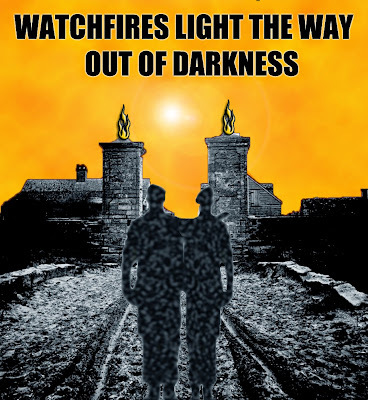 and show them the way back from far, brother to brother. Veterans Caught Not Breaking The Law? "Veterans caught triple-dipping on benefits"
Seems really bad right? Nope. This is the part that came further down the article. Few if able, stop working after they retire from the military. That means they pay into their pensions as well as Social Security. Hurt on the job then they get Social Security Disability plus any private insurance they pay for. Granted a service connected disability for what happened while in the military is another thing they paid for with their service. So why all of a sudden are headlines like this coming out? The arrangement is legal, but it raises questions about the generosity of the American safety net system at a time when disability programs are already under severe financial stress. One veteran on disability collected nearly $210,000 in benefits in 2013, while another earned more than $122,000 — nearly three times what his actual military pay would have been — according to a watchdog report being released Thursday that found tens of thousands of veterans are triple-dipping on disability. Tens of thousands of veterans collect their military retirement pay and disability benefits from the Veterans Administration and disability checks from Social Security too, according to a new report from the Government Accountability Office. All told, nearly 60,000 triple dippers collected $3.5 billion in benefits. For decades, up until 2004, the government clamped down on veterans taking both military retirement pay and VA disability benefits. The Pentagon docked retirement pay dollar for dollar up to the amount of their VA benefits. 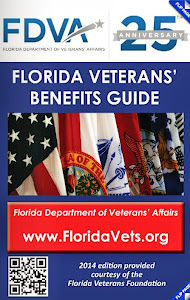 October list #3 – Central FL additional List of veteran, military and patriotic events. Are you going to be a person sitting at home in a chair while watching mind twaddle re-runs on TV with your mind dissolving? 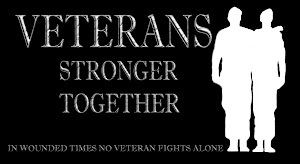 Or are you going to be a patriotic person (if you aren’t already a Veteran) and participate in community events? Camaraderie Foundation Family Fun Day - Sat. Nov 1 - Central Florida Women's League kindly honors military families with fun and food at no cost to them. 10am - 2pm at Bill Fredericks Park at Turkey Lake in southwest Orlando, 3401 S. Hiawassee Rd, Orlando, 32835. RSVP needed to 407.841.0071 events@camaraderiefoundation.com See website about assistance to military and their families. Daylight Savings Time ends – Sun. Nov 2 – Turn your clock back one hour. Use that bonus time to do something nice for our veterans and service personnel! Osceola County Commissioners Proclamation - Mon Nov 3 - All veterans and public are invited to hear the proclamation recognizing them and their continued committed work within the communities and Osceola County. 1:30pm Commission Chambers, 1 Courthouse Square, Suite 4100, Kissimmee, 34741. Election Day – Tues. Nov 4 – Become educated and do your civic duty – VOTE! Greeters needed! Honor Flight Welcome Home –WED. Nov 5 – Orlando Int’l Airport – This is the VERY LAST Honor Flight for the 2014 year from the Central Florida area. Winter, ice, and senior citizens don’t do too well together in Washington DC. The WW2 and Korean War veterans truly appreciate the “Welcome Home” receptions at the airports with the flags and patriotic signs – It makes a difference! After a day spent in Washington DC, 25 veterans of WWII and Korean War veterans return home thru Orlando Int’l Airport. 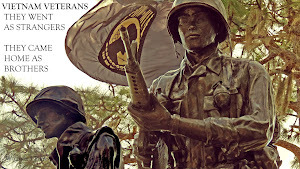 The nation-wide organization has three local hubs that take veterans on a single day trip to our nation’s capital where they visit the WWII, Korea, and Vietnam War Memorials, Marine Corps Iwo Jima and the Air Force Monuments, and witness the changing of the guard at the Tomb of the Unknowns at Arlington National Cemetery. This group will return at about 9:30 pm. Come welcome these former warriors home! Bring your flags, banners and signs! Southwest Airlines #3303 from Baltimore-Washington (BWI), Terminal A, Airside 2 (hotel area in front of Starbucks.) Before leaving home, check online to see if the flight is on time because there may be delays due to weather, mechanical or medical issues. Free parking has been arranged at an off airport property – FastPark and Relax – who has been very generous to Honor Flights with free parking and shuttles to the airport - Contact Cathy Haynes for those details NLT 7pm - chaynes11629@yahoo.com 407-239-8468. UPDATE: Orlando Airport Operations is graciously providing parking validation for persons “sending off” and “welcoming home” the Honor Flight. BUT certain conditions must apply. Contact me (Cathy) for details. For the Early Birds - you can wave them off in the morning no later than 5am – same location. They process thru Security early and quickly. Honor Flights will resume in the Spring of 2015 when the weather improves. A Tribute to our Heroes, A YMCA event - Sat. Nov 8 - Recognizing Wounded and Disabled Veterans in our community. FREE, open to all from 11am to 1pm at Dr. P. Phillips YMCA Family Center, 7000 Dr Phillips Blvd., Orlando, 32819 (Southwest Orlando.) Brunch, Flag ceremony, speaker Army Lt.Gen. Jay M. Garner (ret.) Info: bevans@cfymca.org 407.351.9417 ymcacentralflorida.com Shared by DAV member Lyle Schmeiser. Veterans Day Fireworks Celebration - Sat. Nov 8 - VFW Post 10139 in Chuluota is the site for fun starting at 3pm with Fireworks starting at 7pm sponsored by Tijuana Flats. Bounce houses, food, drinks and music. Special ceremony. 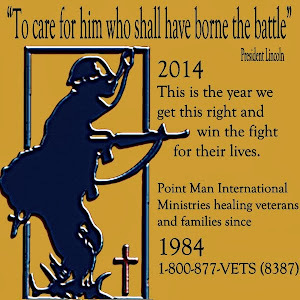 Post is located at the corner of Lake Mills Ave and East 7th St., Chuluota, 32766 in Seminole Co. Info: 407-359-5020 info@vfwpost10139.org Shared by Adam Zavardino, Commander of VFW Post 10139. Jewish War Veterans – Sun. Nov 9 – Join JWV Post 475 for a cup of coffee at 10:30 am while we remember and honor the liberators of the European work camps and death camps from 70 years ago. All persons welcomed, especially the liberators. 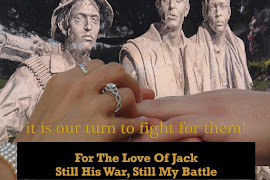 The Jewish War Veterans is the oldest continuously active veterans’ organization in the United States, and serves all veterans. Congressionally chartered in 1896, JWV is dedicated to upholding America’s democratic traditions and fighting bigotry, prejudice, injustice, and discrimination of all kinds. Honoring our service and our faith. 10:30 am meeting at Kinneret Apartments social room, 515 Delaney Ave, downtown Orlando, 32801. Info: Dave at dlitwack@aol.com 407-363-0969. Happy Birthday United States Marine Corps! The official birthday is on 10 November 1775. That was the day when the Second Continental Congress established the Continental Marines. Semper Fi! SOS Breakfast celebrating USMC 239th Birthday - Mon. Nov 10 - Central Florida Chapter of the 1st Marine Division Association invites all interested persons. Winter Park Community Center (not the Civic Center!) located at 721 West New England Ave. three blocks west of the Farmers’ Market, at 8:30 am. The guest speaker is Lt. Col. William W. Yates, Program Manager of Training Systems (PM TRASYS). $25 benefits local chapter outreach and scholarship fund. RSVP required no later than Wed. Nov. 5, contact Mike for instructions - 321. 276.7515 koolade@embarqmail.com (* If SOS is not your “thing” a full breakfast buffet is included in your admission) Shared by Mike Galyean. Veterans Day Parade in Melbourne - Tues Nov 11. Parade hosted by Honor America honoring veterans and those currently fighting abroad. Starts 10 am at Melbourne Ave. to Melbourne Ct., then to New Haven Ave., west through downtown to Oak Street., then North on Oak St. to the Liberty Bell Memorial Museum. The parade will end at entrance to the museum. Info: Honor America 321.727.1776. Shared by Deb Plaag, Commodore John Barry Chapter of DAR. West Melbourne Veterans Recognition Celebration - Tues. Nov 11 - All residents of Brevard County invited to join, honor those heroes of America's armed forces who have served to protect our freedom on Veteran's Day. The ceremony starts at 1130 am at the Veterans Memorial Complex, 2285 Minton Rd, West Melbourne, 32904. Free event will feature: Patriotic music, Presentation of the Colors, and a keynote speaker. Info: agallagher@westmelbourne.org 321-837-7779. Shared by Deborah Plaag of Commodore John Barry Chapter DAR. Central Florida Navy League Luncheon meeting – Wed. Nov 12 – The Navy League has grown into the foremost citizens’ organization to serve, support and stand with all the sea service members and their families – the U.S. Navy, U.S. Marine Corps, U.S. Coast Guard and U.S.-flag Merchant Marine. Guest speaker: Commanding Officer of the Coast Guard Cutter Vigilant from Port Canaveral. He will be able to let us know what they have been up to while on patrol, especially intersecting drug transportation. Radisson Hotel, 1724 N. Alafaya Trail, Orlando, 32826 (near UCF; SW corner of Alafaya Trail and Colonial/50). 11:30 luncheon. Cost is $20 with RSVP (before Tues.) or $25 at the door without RSVP. Pay online at our website: cfnavyleague.org Info/RSVP: Bob at navleaguecenfl@juno.com 407-977-7575. *Note: If you or your friends have military items that may not mean much to your other family members, please consider donating them or placing them "on permanent loan" with a Museum for safekeeping. Others may appreciate their historical significance, and it will keep them out of potential landfills. If possible please include the story of the item. A Charleston man was fixing lunch when he got a call from the South Carolina Education Lottery yesterday saying he won $1 million. When he hung up the phone, he turned off the stove and called his mom. “We need to talk,” he said. The Iraqi veteran entered about five or so non-winning tickets in the Lottery’s Millionaire Madness Second-Chance Drawing and then completely forgot about them. One of those tickets was selected from more than 525,000 entries received to win the $1 million prize, according to a release from the South Carolina Education Lottery. “I thought it was a practical joke,” he said, until he checked the Lottery’s website and saw the winner was from Charleston and the number that called him was registered to the Lottery. LAUGHLIN AIR FORCE BASE, Texas -- It was just another trip to Wal-Mart for 2nd Lt. Joshua Nelson when he popped in to grab some fish hooks for a family trip to the lake this past Spring. Little did he know that a quick shopping trip would turn into so much more. According to police reports, the young man was mad at his mother, who he had a knife to, because she wouldn't buy him a gun. Nelson told his wife Brittany to go alert the store manager and call the police. Nelson, who has a concealed weapons permit stepped up beside the woman. "I put my hand on my pistol where he'd notice, and then I stepped in between them," said Nelson. "I kept demanding he hand me the knife. I wanted him to see only one option. As I was standing beside that lady, I felt like I was responsible for her life. I was going to do whatever I had to do to protect her." Then, according to the police report, Nelson went from trying to stop a murder to trying to stop a suicide when the assailant turned the knife on himself. In his memoir, actor Ron Perlman opens up about his attempted suicide, life as a fat kid, and coming to dislike his Sons of Anarchy character. The cigar-chomping, one-of-a-kind visage of Ron Perlman has enthralled audiences since his film debut in Jean-Jacques Annaud’s Quest for Fire in 1981. Perlman would go on to win a Golden Globe for his performance opposite Linda Hamilton in Beauty and the Beast in the late ’80s, where George R.R. Martin was one of the writers. He is most recognized today, perhaps, for his role in the comic book adaptation of Hellboy and for his terrifying performance as Clay Morrow on Sons of Anarchy. Now, Perlman is out with a no-holds-barred memoir Easy Street, detailing his childhood years, as well as his struggles in the film industry over the decades. In an interview with The Daily Beast, he opens up on topics ranging from his attempted suicide to his “fat kid” adolescence, and why he came to dislike his Sons of Anarchy character. You write about your own attempted suicide. What was it like to dive back into that time of your life? It was very cathartic. The story I tell about my own experience [of trying to commit suicide] has never been told before. Even my wife didn’t know about it until she read the galleys for the book. My mom hasn’t read the book yet, so I hope it doesn’t kill her when she reads it. It’s going to be a shock. That was the first time I shared that with anybody. My contract with myself once the book got green lit is, I’m just going to write everything out, and then depend on a small circle of friends to make sure I don’t destroy myself, on what to leave in and what to take out. The bout I had with clinical depression was a singular incident—I don’t consider myself someone who has spent a lifetime battling this—it had a beginning, a middle, and end, and because I’ve remained vigilant about it not revisiting me, it never has. I put it in there and I started getting calls from my dear friends, who said, “Jesus Christ, man, I’ve never told anybody this, but …” Everybody started telling me their own nightmare story that they’ve kept to themselves, and saying that if you went through it, and you’re willing to talk about it, it’s essential it stays in the book. It wasn’t my intention, but I realized I was going to help some people knowing that it’s not just them, they’re not alone. It can happen to anybody. It can happen to the guy playing a badass on Sons of Anarchy. There’s a lot revealed that’s never been revealed. Have I gone too far, or revealed too much? That’s for the world to decide. There was something profoundly purging about finally grappling with it by putting it into words. (CN) - The Supreme Court's rejection of a law that made it a crime to lie about military service and accolades does not help a Marine Corps veteran who was photographed wearing unearned medals, the 9th Circuit ruled Wednesday. A federal jury in Idaho found Elven Swisher guilty in 2007 for making false statements to the Veterans Administration, forging discharge documents to obtain benefits and theft of government funds. The jurors also convicted Swisher, who had served three years in the Marines beginning in 1954, for "wearing unauthorized military medals." During the one-week trial, prosecutors said that Swisher had in 2001 secured $2,366 a month in federal benefits for post-traumatic stress disorder he claimed to have developed after an off-the-books mission in 1957 that never actually happened. An "unpublished narrative" included with Swisher's application for benefits told of his supposed participation in a secret combat operation during which "Swisher and approximately 130 other Marines were flown by helicopter to an unknown location in China or North Korea," the 9th Circuit explained. Swisher allegedly claimed that he'd been seriously injured in a firefight while on the mission, and that he'd been awarded the Purple Heart and other medals but told to keep this a secret. Marine Corps officials testified at the trial that there was no record of Swisher having received any injuries or medals during his service. Prosecutors also presented a photograph that showed "Swisher wearing the Silver Star, the Navy and Marine Corps Ribbon, Purple Heart, Navy and Marine Corps Commendation Medal with a Bronze V, and the UMC Expeditionary Medal." After the jury convicted on all counts, Swisher was sentenced to one year behind bars and three years of supervised released. 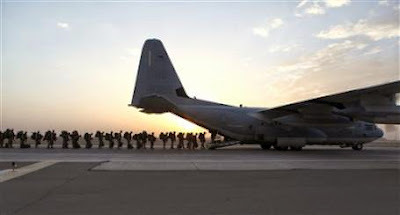 This handout photo provided Defense Department shows Marines and sailors with Marine Expeditionary Brigade – Afghanistan load onto a KC-130 aircraft on the Camp Bastion, Afghanistan flightline, Monday, Oct. 27, 2014. The handover of the U.S. Marines' main base to Afghan control in the hardscrabble Helmand province is more than a signal that America’s longest war is ending. It is a reminder of the enormous loss and sacrifice by Marines who swept in as part of President Barack Obama’s surge of forces against a resurgent Taliban in 2009. There were 1,631 casualties of the Afghan war who were in the U.S. Army, which means that they comprised 73.3 of the casualties. After the Army, the Marines were the next branch of the military that had the highest number of casualties totaling 418. (CNSNews.com) -- As U.S. Marines withdraw from Operation Enduring Freedom (the Afghanistan war), CNSNews.com's database on casualties shows that 418 Marines gave their lives in the conflict and that 92% of those casualties, 385 deaths, occurred since President Barack Obama took office in 2009. “U.S. Marines and service members from the United Kingdom left Regional Command Southwest in Afghanistan’s Helmand province today, turning their facilities over to the Afghan security forces,” reported the Department of Defense on Oct. 27. 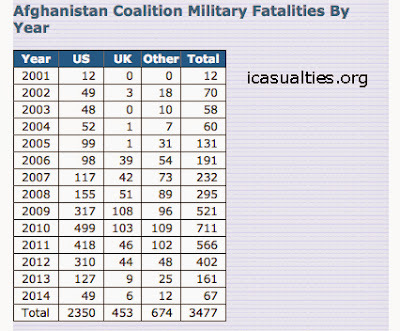 Sergeants and Specialists in the Army represent nearly half – 49.6 percent – of the total casualties of the Afghanistan War, according to CNSNews.com’s database of U.S. casualties in the war. A wounded Iraq War veteran has filed suit against the government after discovering the seeping wound he endured for years resulted from a sponge left inside him after an operation at the Augusta VA hospital. Kenneth Dixon filed suit Tuesday in U.S. District Court against the United States of America. Dixon served during the Iraq War until a 2004 vehicle wreck left him with a permanent spinal injury. Durbin, an Iraq War veteran, testified Tuesday that he was accosted and shot while sleeping in his car on Allison Hill after giving a fellow soldier a ride home. He said he could not positively identify Betts as the gunman. A Dauphin County jury took about an hour Wednesday afternoon to convict a Harrisburg man of attempted murder for shooting a National Guard sergeant five times during a June 2013 robbery in the city. For Tasai Betts, 18, the verdict equated to a loss on a very big gamble. Senior Deputy District Attorney Jack Canavan said he will seek a 25- to 50-year state prison term for Betts when Judge Deborah Essis Curcillo sentences him in January. Margarita said the VA has known about her brother's death from the start. Just 27 days after her brother died, the federal government sent a bill to the family asking that they return his disability check. Since April 12th, Margarita Reyes has had good days and bad days. Tuesday was a good day, until she went and got the mail. It was an envelope from the U.S. Department of Veteran Affairs and in it was a brand new Veterans Health Identification Card with a photo of her brother Marine Corporal Elias Reyes, Jr. renewing his health benefits until October 12th, 2024. The problem is Elias committed suicide six months ago after suffering from a traumatic brain injury and post traumatic stress disorder. Margarita Reyes says the Veterans Administration failed to help her 27-year-old brother by not delivering the kind of quality healthcare he deserved. "I got his ID in the mail and it just brought everything back," Reyes said crying. "It just was really upsetting." The department recently started issuing new ID cards to all its service members, and Reyes isn’t the only glitch in that system. In another incident last week in Kansas, a veteran who died a year and a half ago received an identification card as if he were still alive. Medicine Horse Center plans to screen "Riding My Way Back," the new award-winning, short documentary about the powerful healing of therapeutic riding for a veteran with Post Traumatic Stress Disorder and Traumatic Brain Injury. The documentary will be screened at The Durango Elks Lodge, 901 E. Second Ave., Durango, on Friday, Nov. 7. Tickets are available for $15, and free for veterans. Tickets will be available at the door or can be purchased in advance by contacting Lynne Howarth, of Medicine Horse Center at (970)-533-7403. Proceeds of ticket sales go toward veterans services with Medicine Horse Center. 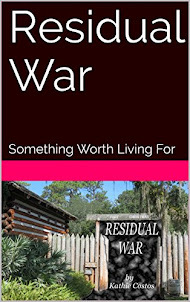 "Riding My Way Back" chronicles a soldier's journey back from the brink of suicide. In 2010, Staff Sgt. Aaron Heliker returned from multiple deployments to Iraq and Afghanistan with a traumatic brain injury (TBI) and Post-traumatic Stress Disorder (PTSD). 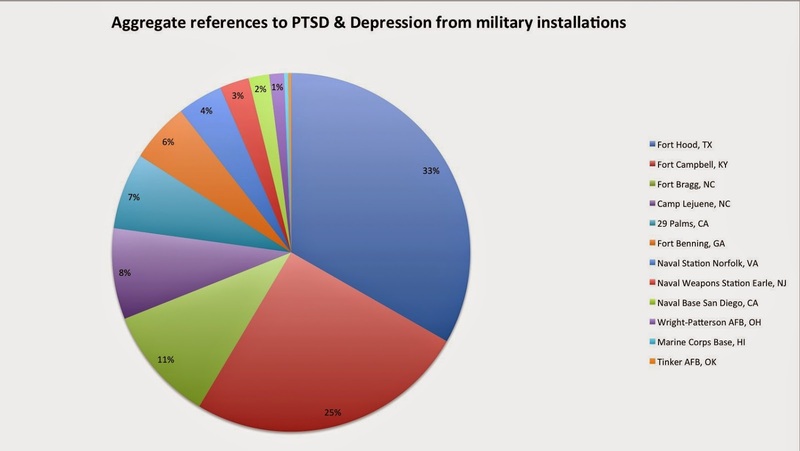 60 percent of Iraq and Afghanistan veterans diagnosed with PTSD? Don't tell Michael Savage that the "celebration of weakness" has spread. The tree hugger's head will explode. "A recent scientific national government study reports that more than 60 percent of Iraq and Afghanistan veterans have been diagnosed with Post Traumatic Stress Disorder – PTSD – or other traumatic brain injuries since returning home. 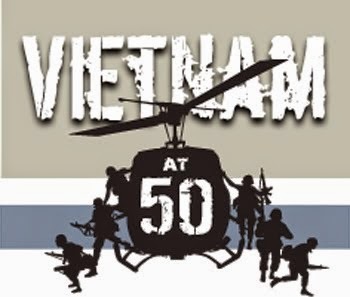 The same study reports that about 11 percent of surviving Vietnam combat veterans still suffer from PTSD and that, like alcoholism, PTSD may be treated and controlled but never fully cured." 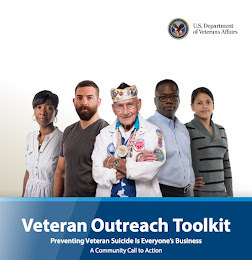 Keep in mind the "program" they are using now is called Comprehensive Soldier Fitness but while it has been pushed throughout the military since 2009, no one seem to mind suicides went up afterwards. 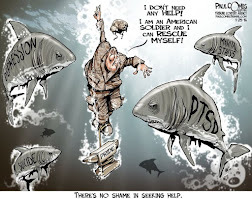 The drugs and psychology provided by the military have not worked out as planned, he says, noting that the 349 suicides last year is a record high. Mullica Hill Baptist Church, 18 S. Main St. in Mullica Hill welcomes guest speaker Chaplain Wayne Keast (Retired) on Nov. 23. Keast, a retired chaplain with Regular Baptist Chaplaincy Ministries, is now ministering to wounded warriors. In his 33 years of service, Wayne was trained in the Army's Post Traumatic Stress Disorder (PTSD) prevention programs. He knows what those programs can and can't do. WASHINGTON — The military’s top brass has recommended that all American troops returning from the mission to combat Ebola in West Africa be quarantined, the Pentagon announced Tuesday. Pentagon press secretary Rear Adm. John Kirby told reporters that Secretary of Defense Chuck Hagel “shares the concerns by the chiefs about the safety and well-being not only of our troops but also of their families,” but has not yet made a decision about whether to approve the recommendation from the Joint Chiefs. Hagel received the chiefs’ recommendation on Tuesday, shortly after Army leadership decided to isolate Maj. Gen. Darryl Williams and 10 other soldiers for three weeks to ensure they are not infected after spending time in Liberia, where they were participating in Operation United Assistance. They and other soldiers arriving in Vicenza, Italy, will be allowed no physical contact with family members but will have access to telephones and the Internet, Army spokeswoman Lt. Col. Alayne Conway said. 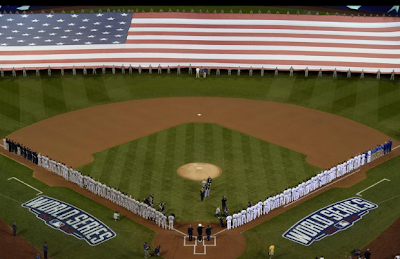 MLB: Are Veteran Tributes Too Much? "We use the term hero in part because it makes us feel good and in part because it shuts soldiers up (which, believe me, makes the rest of us feel better). Labeled as a hero, it’s also hard to think twice about putting your weapons down. Thank yous to heroes discourage dissent, which is one reason military bureaucrats feed off the term . . . Then you have Bruce Springsteen and Metallica telling them “thank you” for wearing that uniform, that they are heroes, that whatever it is they’re doing in distant lands while we go about our lives here isn’t an issue. 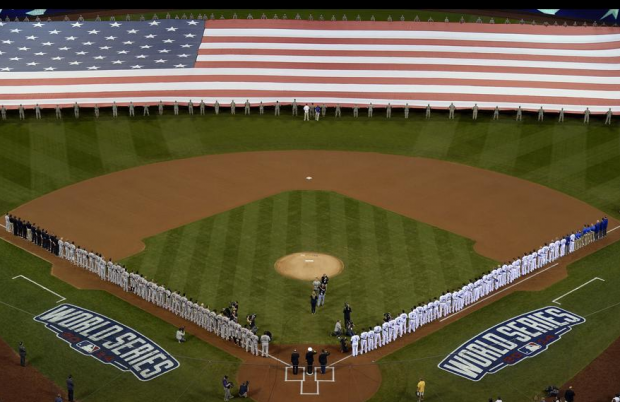 There is even the possibility that, one day, you, the veteran, might be ushered onto that stage during a concert or onto the field during a ballgame for a very public thank you. 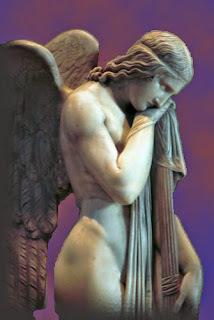 The conflicted soldier thinks twice." Fanning makes the argument that by doing things like these, we necessarily give our approval to the country’s military policies of the past 13 years and stifle dissent. I think there is a lot of truth to that. But more broadly, I think the obligatory manner in which we have imported patriotism and honoring of the military into baseball has caused us to lose sight of the fact that — even if doing these things are good and admirable — when we make our patriotism mindless, we lose an essential part of it, which is thoughtfulness. And, yes, to Fanning’s point, when we make our acts of patriotism obligatory we take away another essential thing: the freedom of dissent. I think we’ve reached that point in baseball. Major League Baseball’s charitable efforts, specifically for the Welcome Back Veterans and Wounded Warrior charities are admirable. And there is no question in my mind that they are well-intentioned. But, at times, one does feel the sense of formality and a sense of the obligatory with respect to all of this. And no small amount of corporate sponsorship is involved, in effect, allowing corporations to ride on the back of patriotic sentiment in an effort, intentionally or unintentionally, to bolster their own image. Are there ever too many things being done for them? My vote is HELL NO! Sgt. Maj. Paul Archie was fuming. 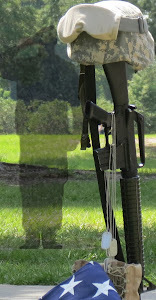 All day Marines had been coming to him with questions about a man who stood protesting outside Marine Corps Recruit Depot Parris Island, South Carolina, wearing the distinctive drill instructor’s campaign cover, known affectionately as a “Smokey Bear.” Like the Marines he spoke with, Archie felt that wearing the uniform item in a political protest was inappropriate and even against official regulations. When he confronted Marine vet and former drill instructor Ethan Arguello, the heated exchange was caught on video by another protester. The 32-second clip that showed the two nose-to-nose in a shouting match was uploaded to YouTube and went viral, watched by more than 200,000 people. The firestorm of news coverage the video created, coupled with third-degree assault charges pressed by Arguello that were later dropped, would ultimately result in Archie’s resignation from his post as sergeant major for Parris Island and the Eastern Recruiting District, along with his retirement from the Marine Corps soon after. The Department of Veterans Affairs has formally settled a federal lawsuit filed by eight agency police officers who worked at the C.W. Bill Young VA Medical Center for $960,000, according to court documents filed Monday. With recent settlements to three other VA police officers at the Pinellas facility, the total payout by the VA is $1.3 million. Such settlements are usually confidential, and the public rarely sees confirmation of cash paid out. But in a highly unusual move, the officers' attorney, Ward Meythaler, and the VA asked a federal judge in Tampa to enforce the terms of the settlement. The court file does not show why they made the request. As a result, U.S. District Court Judge Mary Scriven ordered the settlement to be filed and made part of the public record. Meythaler and a VA spokesman declined to comment. In the settlement, the VA acknowledged no wrongdoing. A trial would have offered a potentially embarrassing glimpse into the Young VA's small police force and its operations. Police leadership and officers have long been at odds over allegations that include sexual harassment, racial discrimination, physical altercations among officers and even disputes concerning policing strategies. 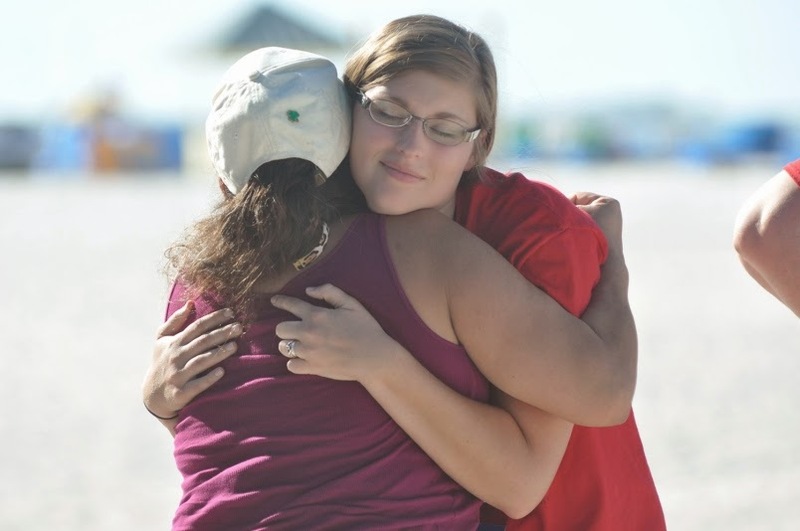 Two women hug at a remembrance ceremony at the National Military Suicide Survivor Seminar earlier this month in St. Petersburg, Fla. 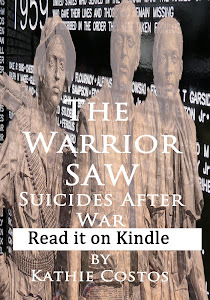 The program brings together survivors of service member loved ones who committed suicide. ST. PETERSBURG, Fla. — Sitting and sobbing outside the hotel room where her Marine husband had just hanged himself, Kim Ruocco said she was horrified to find that nearly everyone who responded to the scene somehow managed to make her feel worse. First she asked the hotel manager where her husband was staying, and he wordlessly backed into another room, shutting the door to avoid her. A trauma specialist told her to lie to her children about what had happened. And then there was the priest. That experience in 2005 started Ruocco on what has become a full-time mission to help fellow survivors cope, heal and thrive. 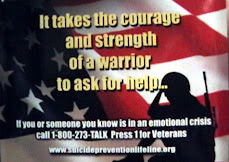 That often starts with an annual seminar for and by those who have lost troops and veterans to suicide. As a testament to the seriousness of the epidemic and the growing willingness of survivors to talk about their experience, the TAPS database for suicide survivors has swelled to more than 5,000. Where Do America’s Most Successful Veterans Live? From the first day of basic training to the last day of a long deployment, and all the time in between, members of the military develop high levels of discipline and focus. 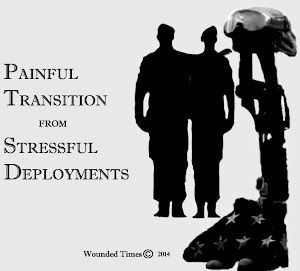 By the time they’re discharged, they know more than the average Joe or Jane about hard work. Many also have developed specialized skills, such as flying helicopters or running sophisticated computer networks, that employers value highly. In fact, in some parts of the U.S., veterans are substantially better off than their non-veteran counterparts in terms of income, employment and education. In honor of Veterans Day, MilitaryStorage.com assembled a list to salute the places where America’s most successful veterans live. These are the 12 metro areas where veterans are doing the best compared with non-veterans. Many of these areas, but not all of them, are home to military bases. Crestview, about 50 miles northeast of Pensacola, is home to Eglin Air Force Base. They are still at it! Trying to blame veterans again. This article headlines "Some See Higher Fraud Risk as More Vets Seek Compensation, Overloading Doctors" but when you read the article, there are few examples of it happening. Just as in real life, fraud among veterans is pretty rare. "Regulators have seen evidence that fraud is slipping through. The VA’s Office of the Inspector General says it investigates only a small percentage of complaints it receives about possible false claims, but that “stolen valor” arrests—cases that involve false claims of military service or disability—are on the rise, with 72 arrests so far in 2014, up 71% since 2009." Does this mean mean frauds are a huge problem or does this mean they simply don't know yet? Are investigators, doctors and claims processors overworked? 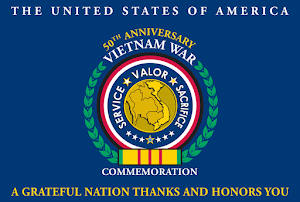 You bet but they were before the rules were changed to help Vietnam Veterans file claims for PTSD and Agent Orange after decades of being left behind without hope of getting help to heal. When we face how long there has been thousands in the backlog of claims, those claims represent a tiny fraction of frauds. The truth is, less than half seek help or compensation even though they need it and earned it. 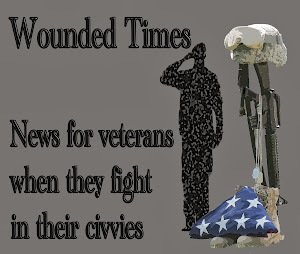 While some see "fraud" others see hope that veterans are finally seeking help. Requests for disability pay by veterans have ballooned during the past five years, overloading many doctors who evaluate the claims and increasing the possibility of fraud, according to current and former VA staff and government watchdogs. From fiscal 2009 to 2013, the number of medical disability claims received by the Veterans Benefits Administration—a branch of the Department of Veterans Affairs—climbed 44%, while the number of doctors called upon to evaluate the claims rose only 22%, according to the VA.
“Claims are coming in a lot faster than what the VA is able to handle,” said Daniel Bertoni, a director at the U.S. Government Accountability Office, which investigates federal spending. A March 2013 GAO report found that claims jumped 29% from 2009 to 2011 but the agency processed only 6% more. Durbin, an Iraq War veteran, testified Tuesday that he was accosted and shot while sleeping in his car on Allison Hill after giving a fellow soldier a ride home. Soldiers with the 551st Military Police Company and 1/506 Infantry Regiment, 1st Brigade Combat Team arrived first thing Friday morning to start setting up the Survivor Outreach Services boot display honoring service members who died in support of the Global War on Terror since Sept. 11, 2001. 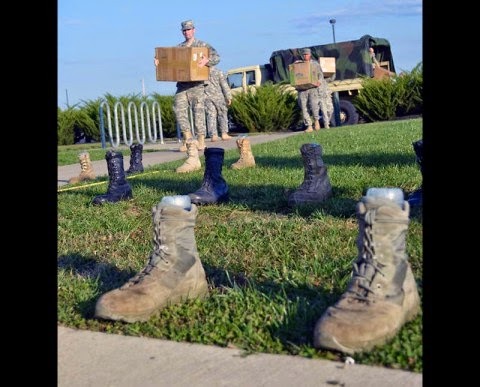 Fort Campbell, KY – In honor of Military Survivor Appreciation Week, formerly known as Gold Star Family Appreciation Week, more than 5,000 boots are on display on the lawn of the 101st Airborne Division Headquarters. 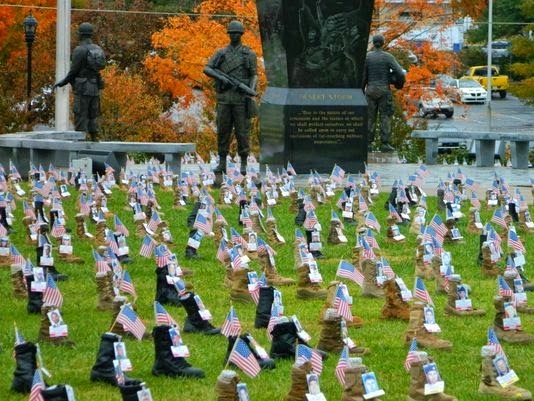 The boots have been collected from military service members across Fort Campbell and abroad to honor service members who died in support of the Global War on Terror since September 11th, 2001. This display of combat boots honors the memories and sacrifice of the military men and women who gave their lives while serving our country. Will they get hazardous pay for this? The Army has decided that troops returning from deployments to Liberia should be quarantined so they can be monitored for possible exposure to the Ebola virus and a general was among the first people affected. The order immediately affected up to a dozen soldiers who returned to their home base in Italy this weekend, including Maj. Gen. Darryl Williams, the former top U.S. commander in Liberia. "Out of an abundance of caution the Army directed a small number of personnel, about a dozen, that recently returned to Italy to be monitored in a separate location at their home station of Vicenza," Col. Steve Warren, a Pentagon spokesman, said today. "None of these individuals have shown any symptoms of exposure." The Army later released a statement confirming that the decision was made by Gen. Ray Odierno, the Army chief of staff. "The Army Chief of Staff has directed a 21-day controlled monitoring period for all redeploying soldiers returning from Operation United Assistance," the statement said. "He has done this out of caution to ensure soldiers, family members and their surrounding communities are confident that we are taking all steps necessary to protect their health." While You Were in Vietnam, Michael Savage Was Hugging Trees! In case you've been unplugged since last week, you may have missed Michael Savage's latest group to hate. 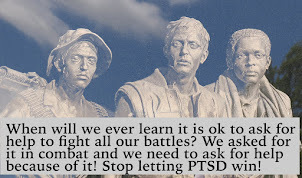 Our troops and veterans with PTSD. He went on a rant about saying this nation needs more men like him. He said he was tired of the celebration of weakness after a caller said he was a veteran with PTSD. Savage didn't understand PTSD any more than he understood that someone could become a veteran by 20. 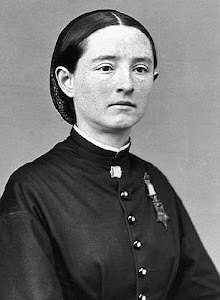 The youngest person ever to receive the Medal of Honor was probably William "Willie" Johnston, who earned the Medal during the Civil War just prior to his 12th birthday and received his award 6 weeks after his 13th. The oldest recipient was probably General Douglas MacArthur who was 62 years old when he earned the Medal. World War II hero Jack Lucas became the youngest man in THIS CENTURY to receive the award when he threw is body over TWO grenades at Iwo Jima just 5 days after his 17th birthday. (At the time of his heroism he had already been in the Marine Corps for THREE years. These are the most important things you really need to know when it comes to the source of the rant. It is amazing what you can find online. This one from 2009 about the hater holds a lot of information. "Get Aids and die, you pig," the American radio "shock jock" told a purportedly homosexual man who once badmouthed his teeth. autistic children, "in 99 per cent of cases it's a brat who hasn't been told to cut the act out". After being awarded a biology degree and seeking to emulate his hero, Charles Darwin, he moved to Hawaii in the 1960s where he earned master's degrees in anthropology and botany, travelling the South Pacific investigating the medicinal properties of plants. (Being abroad, he missed the Vietnam draft). An expert on herbology and homeopathy, he has written 18 books, including one in which he advocated the therapeutic uses of marijuana and another about the importance of re-greening America in which he wrote about our "plant allies" and called for every state to have a "tree czar". Angry that no publisher wanted a book he had written blaming Asian immigrants for bringing in infectious diseases, he recorded a mock radio show with his wife, Janet, and two of his friends acting as callers. So there you have it. While Vietnam veterans, most of them under 21, which Savage thinks is strange, were risking their lives,,,,Savage was hugging trees and pushing for tree czars. So much for the claim this nation needs more men like him while slams veterans with PTSD. 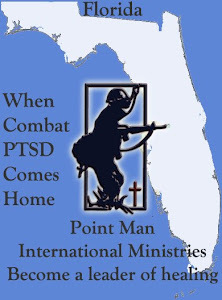 Now you know where he's coming from even though he has no clue where you were or why you have PTSD. VA Canceled Appointment for Mental Illness Awareness Week? Leslie Haines figures it could have been worse. "I'm just glad it wasn't "suicide prevention day," she said, remembering how her Oct. 9 counseling session for post-traumatic stress disorder had been canceled -- without warning, she says -- so 47 staff members at Fort Wayne's VA Medical Center could attend a Mental Health Awareness week training session. But if the Army Reserve major and executive director of Lutheran Military Veterans and Families Ministry was able to appreciate the irony in her aggravation -- and she was -- Haines also believes the incident illustrates a potential danger for people already struggling with serious issues that may have been exacerbated by the very bureaucracy that is supposed to be helping them. "I can generally find twisted humor in things," said Haines, who served as a military police officer at Guantanamo Bay, Cuba, and injured while serving in Iraq -- duty that also produced emotional scars she is reluctant to discuss but remain years later. "With PTSD you're already dealing with trust issues, and is somebody breaks that trust, it only erodes further. I'm glad (Lutheran Military Veterans) is a not-for-profit organization where we don't look at the clock, with no bureaucratic issues to deal with." In October, Army Reserve Maj. Leslie Haines walked into the Fort Wayne campus of the Northern Indiana VA Health Care System for her regularly scheduled appointment at the PTSD clinic. The session had been on the books for months; Haines says she attends appointments like clockwork to treat her “high-level PTSD, that’s often exacerbated” by her civilian job — counseling troops and veterans. But on Oct. 9, the clinic receptionist told Haines her appointment that day had been canceled. The staff, it seems, was attending a guest lecture on resiliency from an inspirational speaker. CAMP PENDLETON, Calif. — Two Camp Pendleton Marines were injured Sunday when their Humvee crashed into a truck and overturned on southbound Interstate 5 near the Aliso Creek rest area. The 45-year-old truck driver told California Highway Patrol officers he saw the Humvee approaching from behind shortly before 10 a.m., CHP Officer Jim Bettencourt said. The Humvee struck the back right corner of the truck and spun out of control, first up the right shoulder embankment and then across all four lanes of traffic before hitting the center divider. 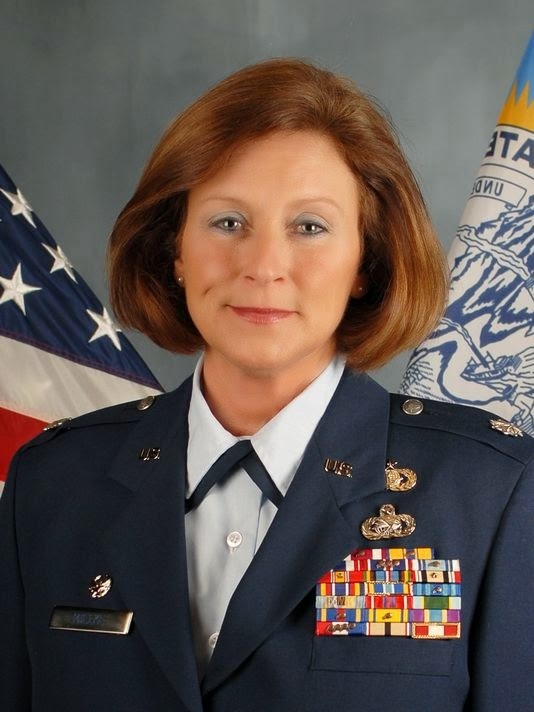 Tami Mielke, a lieutenant colonel in the South Dakota Air National Guard who suffered from PTSD after a deployment in Iraq in 2010, in her official portrait as Mission Support Group Commander. Tami Mielke's decision to end her life raises serious questions about South Dakota's care of its emotionally wounded warriors. A gunshot June 24 at Mielke's rural Sioux Falls acreage silenced the demons that came back from Iraq with the 50-year-old former Air National Guardsman. But it hasn't quieted concerns about the way the Guard helped and supported her after she returned — or any other members who struggle with their war experiences. And there have been others. Since the Sept. 11, 2001, attacks on America, 12 South Dakota Army National Guardsmen and one airman have died by suicide, including three who took their lives this year. None of those include Tami Mielke, who was retired by the time she ended her life. Though just six of those 13 guardsmen had deployed to Iraq or Afghanistan, "Suicides are a problem in the Guard nationally, and we're a cross section of that," said Maj. Gen. Tim Reisch, head of the South Dakota National Guard. "We acknowledge that it's a problem here." A 49-year-old Navy officer from Oceanside died Friday in Qatar in a non-combat incident, the Pentagon said Sunday. Cmdr. Christopher E. Kalafut was in Doha at Al Udeid Air Base. He was part of U.S. Central Command's Naval Amphibious Liaison Element. 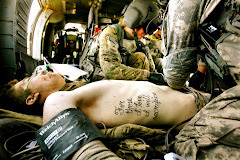 He was serving in Qatar as part of the war effort in Afghanistan. The Pentagon said the incident is under investigation. Kalafut was a Navy Reservist who had worked as an airline pilot for Delta since 2001, based out of Atlanta. He and his spouse, Mary, bore five children ranging from age 12 to 21. A Delta release said the family resides in Acworth, Ga., and noted that he was the subject of an article in Georgia's Marietta Daily Journal on Father's Day this year. They call him the Forgotten Soldier — although actually he served in the Marines. At 59, his lawyers say, he suffers from dementia and traumatic brain injuries and can barely talk, walk or take care of himself. But for years he became a human shuttlecock, batted to and fro between jail and state hospitals and mental health facilities. Attorneys in the Broward Public Defender’s Office say the man — whose advocates ask that he not be identified — personifies the way the United States is ill-serving a vulnerable population, the growing ranks of individuals, many of them veterans, coping with early-onset dementia. They say it is particularly shocking that it happened in Broward, a county that prides itself on its progressiveness, and pioneered the nation’s first felony mental health court. “This is a five-alarm alert to the community that says your mother and father are not safe,” said Howard Finkelstein, Broward’s elected public defender. Frustrated and discouraged by his plight, Chief Assistant Public Defender Owen McNamee and Assistant Public Defender Douglas Brawley — also the man’s attorney — wrote a letter outlining his trek through the system. It was sent to the Department of Children & Families, to judges and to county commissioners in hopes that more money will be fed into the system to ensure caring treatment of those with similar needs. It was a much happier gathering in downtown Marion Friday than a year ago. 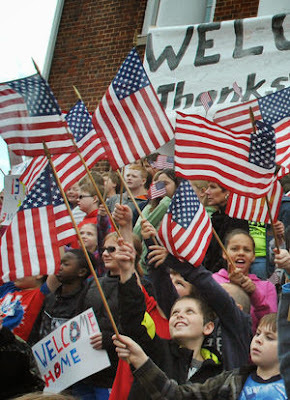 In August 2013 the crowds were sending U.S. Army Reserves 760th Engineering Company off to Afghanistan with tears and best wishes for their safety. Yesterday, they were welcoming the soldiers home with smiles and congratulations for a job well done. The 760th, a vertical engineer company of about 150 members organized to handle a wide range of missions, had been deployed to Afghanistan for a retrograde mission to close forward operating bases and pack up and send equipment back to the United States.